Cozying up to a crackling fire can bring the winter dream to life. But if your chimney and fireplace have not been properly maintained, those soothing moments of winter comfort can quickly go up in smoke. Cooking equipment, such as grills, fryers, and ovens, are responsible for the largest percentage of home fires, but fireplaces, chimneys, and chimney connectors do their fair share of damage with more than 20,000 structural fires each year, according to 2011-2013 Residential Fire Loss Estimates released by the U.S. Consumer Product Safety Commission in 2016. Among those statistics, 20 average deaths were caused by the same equipment during the same three-year span. And while that may seem like a low number, even one life is too many when maintenance and safety precautions can prevent loss of life or property entirely. 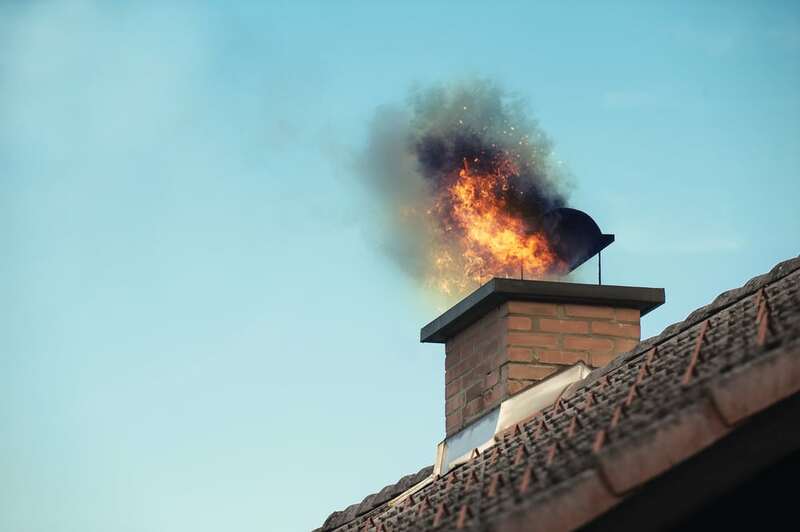 Other hazards associated with chimneys include chimney fires (sometimes referred to as a “flue” fires), where a dirty chimney can catch fire itself–and not the one in your fireplace. If you’ve never witnessed a chimney fire, the signs include loud crackling or popping noises, thick dense smoke, and a strong, hot smell. A chimney can damage your venting system and cause a fire to your residence, not to mention create a human danger of allowing carbon monoxide into the home. Want to avoid a chimney-related hazard in your home? Maintenance is key. With annual inspections and cleanings, one of the main culprits of chimney fires can be avoided: creosote. Creosote is a chemical mass of carbon caused by burning wood, among other materials. This black or brown residue can build up over time and become highly combustible, which can lead to a chimney fire. Creosote is also toxic, which means it’s not healthy to be breathing it in. First-degree: With a soft, sooty texture, it looks similar to wood ash. This can typically be cleaned with a chimney brush by a professional. Second-degree: A similar texture to hard corn flakes, this type of creosote is black and flaky. It will be more present where air is restricted, and is more common with fireplaces containing glass doors and enclosed wood-burning stoves. 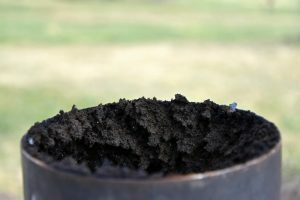 Third-degree: Looking similar to thick, viscous tar, this type of creosote is the worst of all and can quickly lead to a chimney fire. When a chimney fire occurs, complete with flames bursting from the chimney top and thick waves of smokes, it’s sure to draw attention. However, not all chimney fires are quite so dramatic, especially those slow-burning chimney fires that have limited air supply or not enough fuel to burn. Regardless, it’s best to avoid any kind of chimney fire to avoid structural damage to both the chimney and your home. Hire a professional to annually inspect, and if necessary, clean your chimney and fireplace before first use. Be sure all creosote issues are addressed and your unit is deemed safe for use. It’s also a good time to ask for usage recommendation from the cleaning professional. The more you know about your chimney and fireplace, the safer you, your family, and home will be. 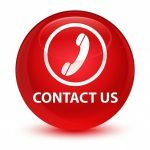 Fire Damage Restoration Services in Madison, Milwaukee, and Surrounding Areas. At A&J Property Restoration, we are experts at restoring homes, businesses, and structures. Fire and smoke damage can be extremely messy. Cleaning the fire damage or smoke damage, removing odors, and cleaning your personal belongings or contents is what we specialize in. With our emergency fire and water restoration, we can help you get back on your feet as quickly as possible and return your home or business to its pre-loss condition.